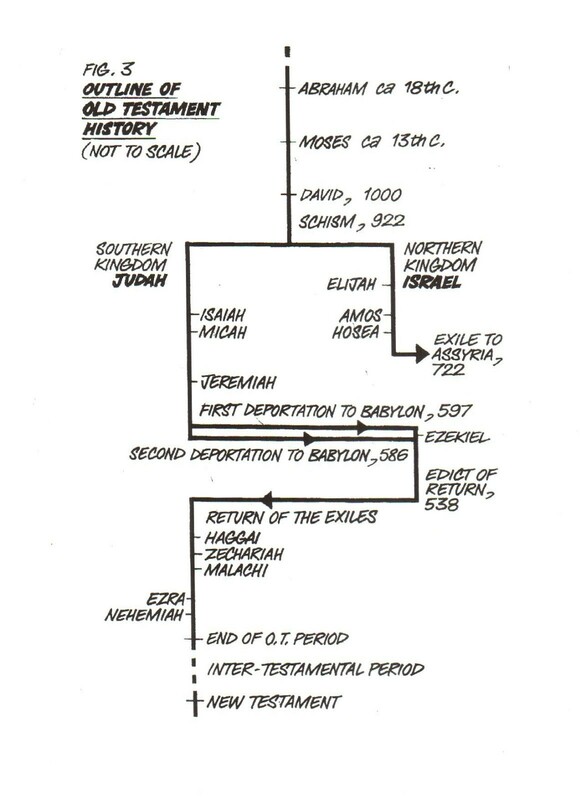 There was a breathtaking moment, having been a Christian for almost ten years, and then I did my first study of a Bible overview. Prior to that I'd read through the Bible numerous times, been regular at Bible studies and sat under some pretty good preachers. And then WOW! - I saw how this whole beautiful book held together and wondered where I'd been for the last ten years. Since then I have been big on helping others have that same WOW moment which serves, among other things, to keep daily Bible reading rich and exciting. 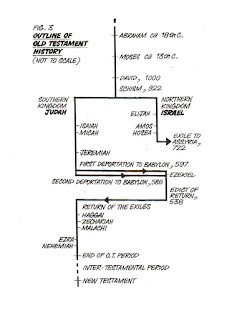 Come to any Bible study or reading group of mine or even a Sunday School lesson and there won't be too many weeks go past when I don't pull out this road map of the Bible or some other similar timeline and probably a Bible atlas as well, just so that we know where we are geographically, politically and chronologically. A basic knowledge of this stuff brings the Bible alive. Last year a couple of my groups wanted to read through Peter's epistles. Before we tackled the letters we went BIG on context, spending several weeks getting to know Peter by working through as much of his life story as is recorded in the Bible. Many of Peter's adventures are mentioned across each of the gospels so in choosing passages I endeavoured to choose the rendering that provided the most detail about Peter. Of course the Bible is Jesus' story, not Peter's, but it was a surprisingly rich journey getting to know Peter the man, which then informed our reading of his letters beautifully. So without further ado, here are the Peter passages we read before reading his letters. It's a great reading project. Maybe a fun summer holiday adventure. You won't be sorry. Good to note also as you venture into his letters that Peter was near the end of his life and ministry when he wrote them. He brings all of his passion, energy, loyalty and faith to bear as he pastors and exhorts those in his sphere to press on in Jesus, and passes the baton to the next generation. It's really great reading. Gratitude is something I think about a great deal. I try to give thanks to God for my day as the night settles in on its fifteen hours of activity. I know that practising daily gratitude is a means of shifting oneself out of a funk through noting what is good and looking outwards. Any chance I have at school, I set up classes with gratitude journals and I wear a pendant with the word GRATEFUL on it most days, especially when I am working. A friend of mine – a champion of gratitude – ran a December of Gratitude challenge on social media, recording daily points of gratitude each day. How many things each day? The number corresponded with the date (one thing on the first, two things on the second, three things on the third…) which meant that by Christmas Eve there were 300 things to be grateful for right there. At one point last year there was a series of celebrity deaths, one after the other. I was strangely and inexplicably moved when TV chef Anthony Bourdain took his own life in June. I hardly know why. I’ve only watched a few of his shows and always thought him a cynical and sad sort of soul. After he died the accolades flew in from all corners of the globe and I found myself wondering that if he’d known how highly he was regarded and revered, whether he might yet be still cooking, eating and travelling his way around the world. At the end of the school year I wrote twenty thank you cards for our boys’ high school teachers - quite lengthy messages (because far be it from me to keep it short) - and was specific about what the boys appreciated and what we were grateful for in each teacher. One of our sons came home and told us that his English teacher said he’d almost wept when he read his card. Primary school teachers are lavished upon at the end of each year. High school teachers seem to get nothing yet their work is hard, and we’re so very grateful for the ways they pour into our boys’ lives. We feel gratitude all the time but we’re not necessarily quick to express it. Paul, in the Bible, told the Christians in Thessalonica to rejoice always, pray continually and give thanks in all circumstances – upwards to God and outwards to those who love, serve and move us. Even when life seems tough, challenging or sad, we can always thank God that He has all things in hand and that He will see all things made right in His perfect love, timing, wisdom and way - made sure and secure at the most important moment in history in the events of Easter. 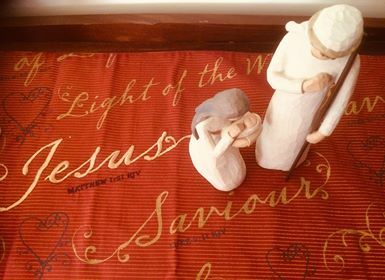 And so at Christmas we give thanks to God for the birth of Immanuel – God with us – whose life, death and resurrection at Easter is the greatest gift we will ever receive. Christmas is such a good time for this as we write our letters and cards, buy our gifts and catch up with all sorts of people. And maybe it is a good time to kick start a habit into the new year of not just thinking or feeling grateful but saying it, writing it, texting it, giving it the thumbs up or a smile or a hug – specifically, often, at times unexpected, every time we feel gratitude stirring. 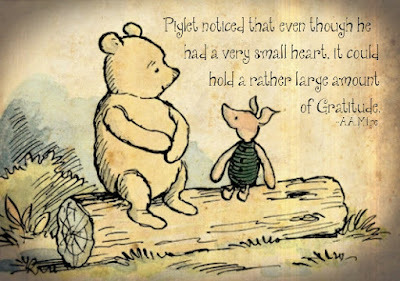 Small actions can have a big impact - small brave steps in a big, difficult world.